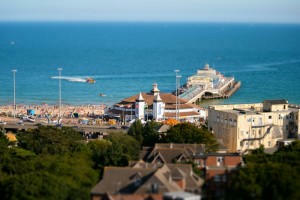 When you’re moving from London to Bournemouth, there’s no one secret to making your home removal a truly successful one. However, if at the beginning of the process you hire a removal company you know you can trust then this can go a long way to relieving the stress of constantly wondering what will happen if it all goes wrong. That’s because a trustworthy and reliable removals firm will also be there for you. One such removals company you can definitely trust and you should hire when you’re moving home to Bournemouth should be Moving Service. That’s because no other removals carrier knows the journey between London and Bournemouth better than us. We have built up our considerable reputation by moving household belongings from London to Bournemouth as well as to other places for many years. What’s more, if you want to take the first step in hiring our removal firm, it’s very simple. All you have to do is call 020 8746 4402. By doing that you can tell us what your specific requirements are and we’ll give you a free personalised price quote which you’re sure to be impressed by. When it comes to removal services to Bournemouth, only our removals business gives you such a vast choice of removal services and quality of service. Our packing accessories alone are of the highest quality. If you like, you can even hire our team of professional packers who can assist you with your packing and unpacking in a fast and efficient manner. It may be you have too many household items you know what to do with. Well, in that case secure storage space may be what you’re looking for. We have storage units large and small which you can hire at incredibly affordable rates. These are the kind of removal services which means you’ll have so much less to worry about when you’re moving house or office from London to Bournemouth. Located on the south coast of England in the beautiful county of Dorset, Bournemouth has a population of approximately 168,000. Its location has helped to make it a very popular tourist destination. It’s now also a major conference venue with it being home to the impressive Bournemouth International Centre. Bournemouth, so called because it sits at the mouth of the River Bourne, has seven miles of beaches and a wide variety of shops, restaurants and hotels. It has many celebrated parks and gardens as well as being home to the Pavilion Theatre and the University of Bournemouth which has over 16,000 students. Looking for Help to Move Your Home? If you would like a man with a van to Bournemouth or are looking for a team of removal men to help you move home from London then come to us. We’re the number one removals firm in the area due to our years of dedicated service to the community providing a trustworthy, quality furniture transport service which never lets our customers down. 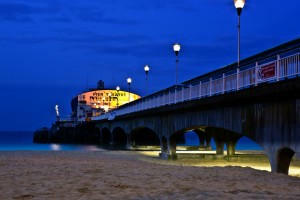 We’ll always get you to Bournemouth on time and with your possessions in the same condition as when they left London. Your custom really does mean everything to us. We try to show our appreciation by making our service not only professional but caring. Most of all, we feel we can show you how much we appreciate your custom by keeping our prices low and giving you the best removal service to Bournemouth at the cheapest price available. So why not give us a ring now on 020 8746 4402 and hear for yourself that for moving from London to Bournemouth Moving Service are the removal firm that gives you so much more for your money.